Authors & Speakers: The Las Vegas Convention Speakers Bureau Wants to Meet You. If you are an author looking to promote your book, share your knowledge, and get PAID to speak, the Las Vegas Convention Speakers Bureau wants to meet you. And, if you are a speaker without a book, the LVCSB and their partners will help you to get published. The LVCSB is currently seeking authors & speakers for their new Author/ Speakers listing under the BOOK A SPEAKER menu at www.LVCSB.com. Many of the meeting planners who contact the speakers bureau are looking for speakers who are also authors, so between now and November 30, 2012, the LVCSB will be offering a limited number of packages for authors who want to expand their careers by becoming successful, paid speakers, and for speakers who want to build their expertise by becoming published authors. Robin Jay, President of the LVCSB, explains, "One of the fastest ways to succeed as a speaker is by being supported and promoted by speakers bureaus. Unfortunately, the majority of speakers bureaus won't list a speaker unless that speaker is already listed with other bureaus (or they are the latest guest on the Today Show!) It's a real 'Catch – 22'; They don't have the courage necessary to believe in new talent." Jay says she does ... and that is why she is extending a very special, very exclusive offer to a limited number of authors and speakers. •	John Kremer, the foremost book marketing and book promotion expert of our time. "When Deborah told me that one of the biggest concerns her writer members have is how to build a speaking platform, I knew my programs, connections, and experience could help. That is why I created a pay-for-placement program with tons of added value – from being able to ask Deborah and John questions one-on-one to receiving help getting published to building a media kit that will get you hired for PAID speaking gigs. Most speakers will enjoy having access to a top literary agent as well as benefit tremendously by all that John has to offer." "For a limited time, I am offering a 1-year listing under the all-new AUTHORS page on the drop-down BOOK A SPEAKER menu button at www.LVCSB.com. Having a bureau listing will help speakers to define themselves as an expert in their field. 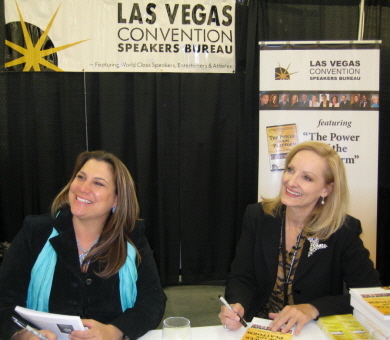 They will be able to refer to themselves as a 'featured author – speaker' with the Las Vegas Convention Speakers Bureau. And, I will show them how to leverage this listing to get listed with other speakers bureaus – and the more bureaus you're listed with, the more speaking engagements you're likely to get." The pay-for--placement package is just $597 and delivers a value of more than $3500; it includes two seminars with Robin's guests - Literary Agent Deb Herman and Marketing Guru John Kremer, as well as a group coaching call, a special teleseminar on writing press releases that will get read, mention in an international press release, and - most importantly - the high visibility of being seen on the speakers bureau website. The deadline for sign ups is 11/30/12. Jay adds that speakers who want to get their questions about selling their books and becoming PAID speakers answered will benefit most from this limited opportunity. She says, "Authors and speakers who take advantage of this will save THOUSANDS of dollars, YEARS of time, and will put themselves LIGHT YEARS ahead of all the other speakers." 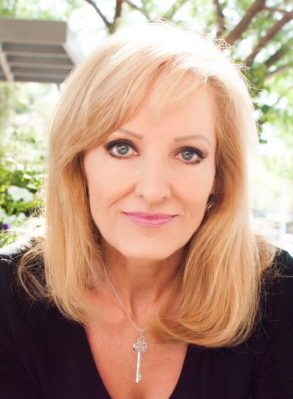 Jay knows what it takes to succeed in this field; she is an award-winning author, speaker, publisher, and recently wrote and produced the award-winning film, The Keeper of the Keys, which stars the self-help industry's most iconic speakers and authors: Jack Canfield, John Gray, and Marci Shimoff. For details about the package and everything that comes with it, interested speakers and authors should click here. The deadline for this valuable package is Nov. 30, 2012.